Congratulations to Our Friends in the UK….Sanity Begins to Show Her Face! 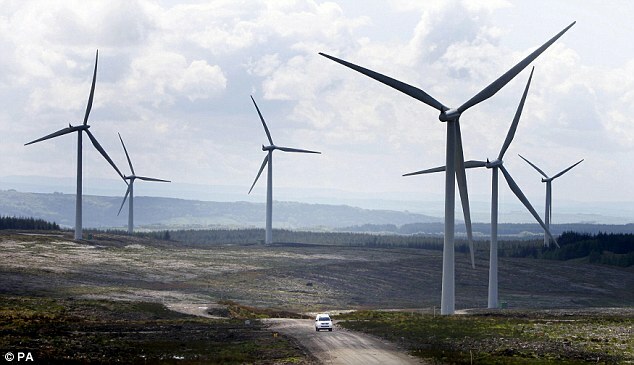 Residents are to be handed powers to stop onshore wind farms being built, ministers will announce today. The Tories have vowed to ‘halt the spread’ of unsightly turbines by preventing wind farms from being ‘imposed on communities without consultation or public support’. Changes to the planning laws will ensure that councils in England and Wales – in consultation with residents – have the final say over whether windmills get the green light. It follows opposition by local campaigners and Tory MPs to the spread of new turbines up to 400-feet high, which they say blight the landscape and cause noise to nearby households. There are more than 5,000 onshore turbines across the UK, of which around half are in Scotland. About 3,500 more have planning permission. But just under 3,000 are awaiting consent, and could be affected by the new rules if the operators cannot prove they have the support of residents who are affected. Currently, at least half of wind farm applications are rejected by local planners due to local opposition or because their location is considered inappropriate. But many of these decisions are then overturned on appeal by the Planning Inspectorate, on the grounds that Britain needs renewable energy to meet climate change targets. The changes mean that wind farms will only get the go-ahead if they are included in the council’s local plan for the area, which is drawn up every few years in consultation with residents. Even if turbines meet the criteria set out in the plan, if there is considerable concern from residents about noise or the local environment, the application will need to be amended. Generous subsidies paid to landowners who allow wind farms to be built will also be cut, under proposals announced in the Tory manifesto. This is expected to be announced soon. In 2014, 57 per cent of all onshore wind applications were rejected, according to figures published in January. This compares with only 37 per cent rejected in 2013, and 24 per cent back in 2009. The rate of wind farms being rejected more than doubled in the last Parliament, amid concerns from more than 100 Tory backbenchers that they blight the landscape and upset residents. Wind farms will continue to be built offshore, where they are more expensive but they attract far less opposition from voters. Small turbines on farm land will not be affected by the rules. Britain has a legally-binding target to produce 15 per cent of energy from low-carbon sources – such as wind, solar and nuclear plants – by 2020. But ministers say there are enough wind farms which have already been approved or applications put in, to meet this target. Exceeding it would pile more costs onto household electricity bills. Amber Rudd, the Energy Secretary, said: ‘Onshore wind is an important part of our energy mix but we now have enough projects in the pipeline to meet our renewable energy commitments. The wind industry trade body Renewable UK expressed concerns about the new planning rules. Deputy chief executive Maf Smith said introducing tough new rules for wind farms would ‘tilt the playing field’ towards fracking which deeply concerns residents. 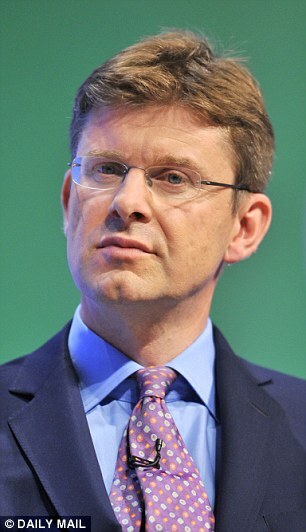 He said: ‘We support local councils taking decisions about local projects. ‘Onshore wind is the most cost effective way to generate clean electricity, consistently enjoying two-thirds public support in all the opinion polls, so councils will want to take this into consideration. But Councillor Gary Porter, vice chairman of the Local Government Association, said: ‘Local people should have a say on development that affects them. ‘The local planning system provides a democratically accountable and effective means for councils to consult local people and take decisions based on local planning policies. Events- upcoming!, fighting wind turbines, Noise & Infrasound, not financially feasible, Return to sanity! Trying to control the amount of wind turbine farms being constructed is a positive move as wind turbine farms are a large cost to anyone, especially any kind of government.